Im thinking to make my car exhaust system ( from middle of car to back ) include back box with aluminium... Do you think its a gud idea? The idea behind is to lessen weight and some people told me aluminum box sound greater than stainless steel....? You can do it. I don't think I could advise it for a street car, but I'm sure people have done it. I would discourage hangers that weld to the pipe. That's a long moment arm to put on a welded aluminum joint. My opinion would be that laying the pipe on a steel hammock of sorts covered in rubber would be the best solution, but I've never tried it. You can see post #11 for what I would consider a drag only setup. an aluminum exhaust is fine as long as it start at the firewall, and no closer to the engine. there really is no downside other than getting it welded. 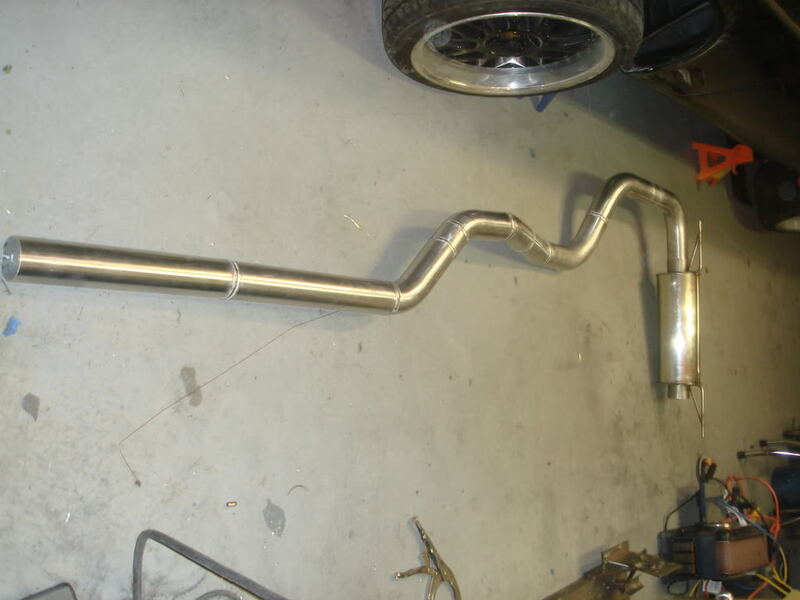 also, whoever said that the car will sound better with an aluminum muffler is an idiot. the type of metal wont change the sound of your car. it will change it slightly, but, not much. I doublt you would reallly notice. If you are going to race the car on more than drag strips, or, do anti lag, I wouldnt do it, it wont last. I run an aluminum exhaust with a stainless downpipe and it's great. Lighter and cheaper than stainless. Chances are your muffler(s) will still be stainless, weld the hangers to the mufflers. I made mine from spare chinese 3" intercooler piping pieces I had laying around. It insulates sound more poorly than stainless though, it seems- the exhaust piping itself seems to transmit more sound waves- so expect a slightler louder and slightly different sounding exhaust, but it's not major. The exhaust system is a big frickin speaker. Change the speaker material (especially the density like you say) and it will resonate differently. It's obviously not going to make it sound like a different car, but there is a (minorly) different characteristic to it tonally. you means aluminum 100% or steel aluminized? 100% aluminum walter. you can shave quite a few lbs or kilo's where you are from. 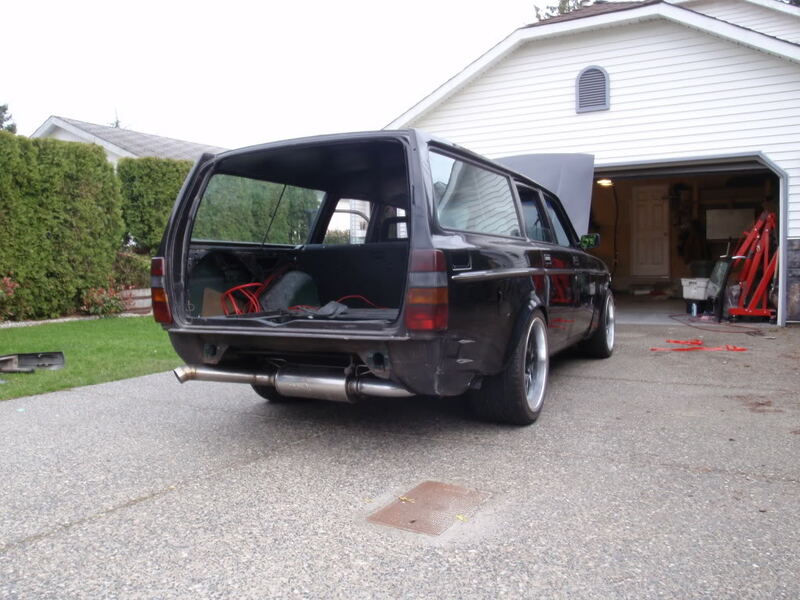 for a full interior street car, i dont know if its really worth the effort since most people on this site cant weld aluminum, but for a track car, its worth it and if you can weld aluminum then its not any harder than making a steel exhaust.